While most homeowners understand the need to clean and maintain their home, many of them tend to forget about their home’s air ducts. If it has been a while since you have taken care of your home’s air ducts, there is no need to fear, because our team of State College ductwork professionals here at The Best HVAC have the skill and experience necessary to handle any and all of your service needs. 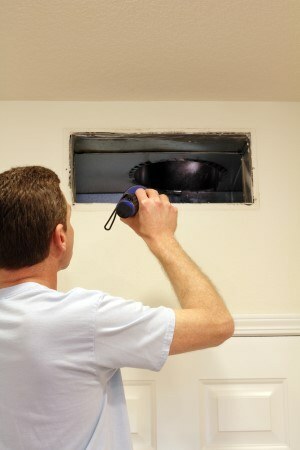 Has it been a while since you’ve had any ductwork done on your home? If so, give our team of ductwork specialists a call today and let us show you the kind of quality service that has helped to make us a household name throughout the local area. Here at The Best HVAC, we are the Centre County HVAC company of choice for many different homeowners throughout the local area, and this isn’t a fact that we take for granted. We strive to provide our valued customers with a wide variety of different quality services that they need to ensure their home stays a comfortable, safe, and healthy environment for themselves and their family, including ductwork, plumbing, heating, and air conditioning services. If you have any questions about our full line of high quality ductwork services, or if you would like to schedule an appointment for consultation with one of our specialists, give us a call today. Our team of experts are always standing by and would be more than happy to assist you in any way we can. Here at The Best HVAC, we understand the vital role your air ducts play in the overall function of your home, and our team of skilled professionals are ready to provide you with the prompt and professional services you need to keep them in good working order so that your home is able to operate smoothly. Whether you are in need of repairs for any damage your home’s ductwork might have suffered recently, or they are just in need of a thorough cleaning to help get rid of any built up dust and dirt that might have accumulated in recent months, our team of professionals have what it takes to get the job done, and get it done right.